Craig Lomita, MD, is a board-certified orthopedic surgeon specializing in hand and upper extremity disorders. Since joining Montefiore in 2010, his practice focus includes treating orthopedic trauma, congenital disorders and tumor surgery, as well as degenerative and sports-related conditions. 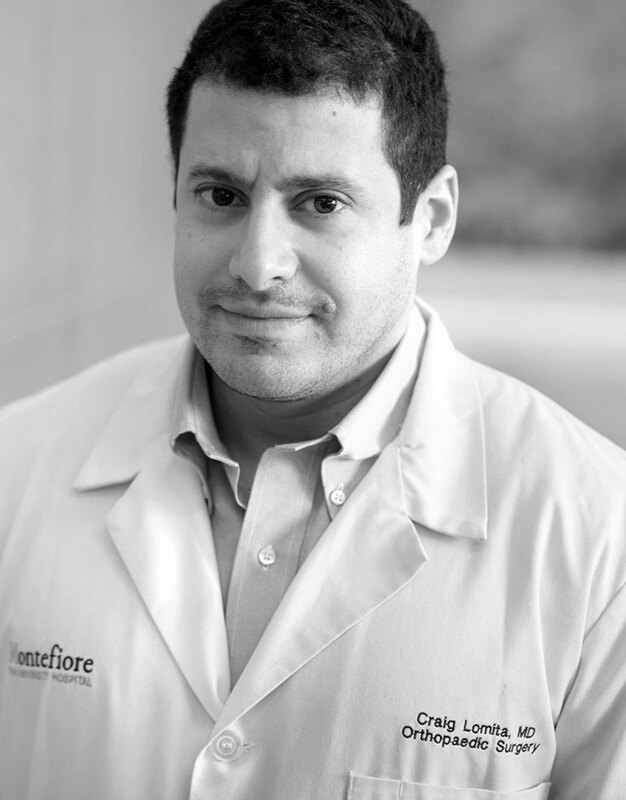 In addition to his work at Montefiore, Dr. Lomita also serves as an Assistant Clinical Professor of Orthopedic Surgery at our Albert Einstein College of Medicine. Dr. Lomita obtained his medical degree from McGill University in Montreal, Quebec. He completed orthopedic residency training at Montefiore and was awarded a fellowship in hand and upper extremity surgery at the CV Starr Hand Surgery Center of St. Luke’s-Roosevelt Hospital Center in New York. His research focuses on effects of formal physical therapy on the outcome of a radial head fracture and of an A1 pulley release (trigger finger) on grip strength.